How do we approach the task of youth education in a city like Chicago, a city with a spotty record of keeping students engaged? Or, to ask a larger question, how do we show students they can be critical thinkers and leaders? And how can we marshal our resources – technological, professional and otherwise – to create city-wide connected learning experiences for students? Lifelong learning is a beautiful phrase, full of ambition while remaining conveniently vague. Everyone claims they’re a lifelong learner. But what does that mean, and what does it look like in practice? 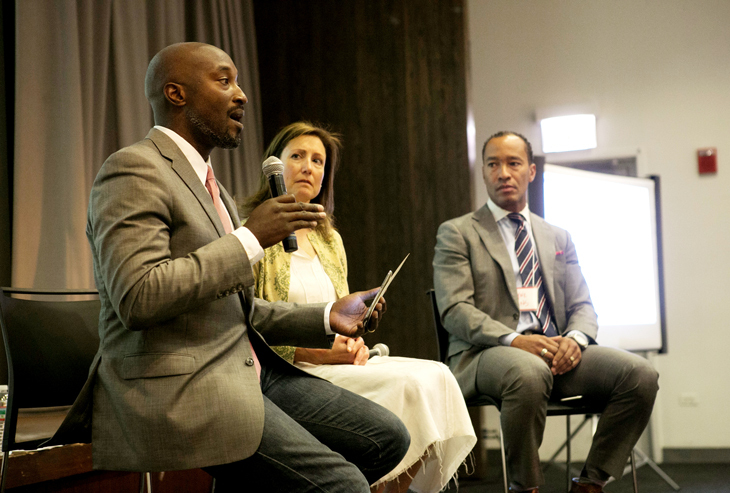 Dialogues with Gensler is an ongoing series of moderated panel discussions held in our Chicago office that address how design impacts lifelong learning. When our team started to define the "Dialogues with Gensler" series here in the Chicago office, we listed 50 ideas related to the idea of lifelong learning. We define lifelong learning as learning that takes place throughout the day and at all stages of life, in a different range of spaces with many different tools. To us, it suggests that learning permeates all aspects of everyday life, including the places in which we live, work and play.